In the conversation around school shootings, one question is front-of-mind for every school leader, educator, and parent: Is my school prepared? From practicing lockdown drills to rethinking exit and entry plans to ramping up the presence of campus police, school districts across the country are looking for any and all ways to be prepared for the worst. But, according to a new survey of school resource officers, many districts have a long way to go. 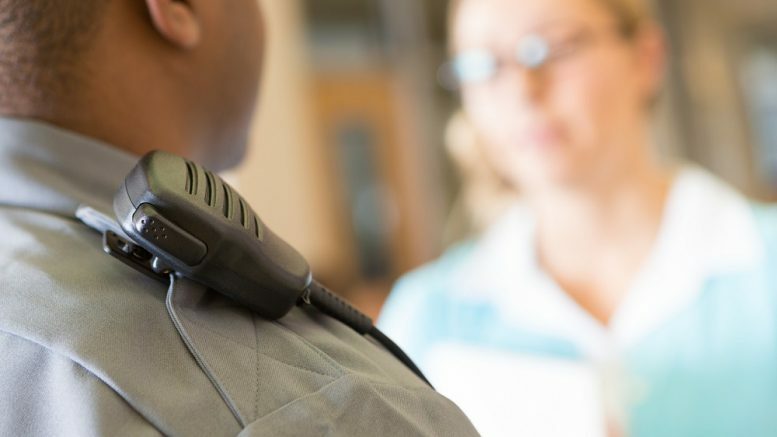 The survey, conducted by Education Week, found that one out of every five school resource officers views their school as unprepared for an active-shooter scenario. The coming of summer means school leaders will have time to assess and update their school safety plans. But, as worries over school violence increase, state officials are proposing new ways to ensure school safety in the face of the unthinkable. On Monday, Rhode Island Gov. Gina Raimondo signed into law a bill requiring every school district in the state to complete a self-assessment of their current school safety measures and submit plans for improving safety on their K-12 campuses, reports the Providence Journal. The assessments were developed by an already-established state school safety commission. The districts will have 30 days after the law takes effect to submit safety plans. They will then have to reassess their strategies every three years. For more on developing a strong school safety plan, sign up for the TrustED newsletter. According to Rhode Island’s state police captain Derek Borek, who also chairs the safety committee, the goal of the assessments is to help districts find cost-effective ways to keep students safe. New York State Comptroller Thomas DiNapoli recently announced that districts in his state would undergo school security assessments, reports WIVB4. Unlike Rhode Island’s self-assessments, auditors from the New York Comptroller’s office will determine whether districts are following provisions of the Safe Schools Against Violence in Education (SAVE) Act, such as developing comprehensive safety plans and evacuation protocols, providing necessary access for emergency responders, and implementing proper violence prevention training. Facing mounting pressure from state officials and increasing concerns from community members, parents, and students, school districts will need to take the opportunity this summer break to assess and improve their safety strategies. As they do, former school superintendent Dr. Gerald Dawkins says it’s vital that they follow three steps. To communicate the board policy to your community, a school safety plan should outline a tangible and practical outline of what the policy looks like in action. The process is the means by which a policy is carried out. Dawkins says any effective school safety process requires plenty of dry runs and rehearsals with staff and students. How is your school or district working to assess and improve your school safety plans this summer? What steps have you taken to prepare for violent situations? Tell us in the comments. Be the first to comment on "Planning for the worst: Schools work to improve school safety plans"